With JanusGraph's increasing popularity, it's no surprise that developers have been building tools around it. In this Compose Write Stuff article, Don Omondi, Founder and CTO of Campus Discounts, talks about his new PHP library for JanusGraph and how to get started using it. PHP, in the world of programming languages, needs no introduction. First appearing in 1995, PHP has gone on to be the backbone of many unicorns most notably Facebook but even recent ones like Slack. As of September 2017 W3Techs reports that PHP is used by 82.8% of all the websites whose server-side programming language is known - enough said! JanusGraph, in the world of databases, is a new player but with a deep heritage since it builds on a fork of the Titan graph database, a previous leader in open source graph databases. To give you some background about graph databases take a look at Introduction to Graph Databases. Despite its young age, JanusGraph is already being used in production by one well-known unicorn – Uber. So the big question is, how can one build a unicorn from PHP and JanusGraph? Believe me when I say, I really wish I knew the answer to that! However, if the question is how can one power PHP using JanusGraph? I do know at least one way. The Gremlin-OGM PHP Library is an Object Graph Mapper for Tinkerpop 3+ compatible Graph Databases (JanusGraph, Neo4j, etc.) that allows you to persist data and run gremlin queries. The library is available on Packagist and is a breeze to install using Composer. Using the library is also a breeze because of its heavy use of PHP annotations. But before we get into how to use it, let’s dive into some of the problems we might encounter when working with a Graph Database like JanusGraph and how the library helps you avoid them. First off, all properties with the same name must be of the same data type. If you already have data in a different database like MySQL or MongoDB that you want to put in JanusGraph, then you’ll probably encounter this. A good example is a field called id in each entity or document. Some IDs may be of an integer data type (1, 2, 3, etc. 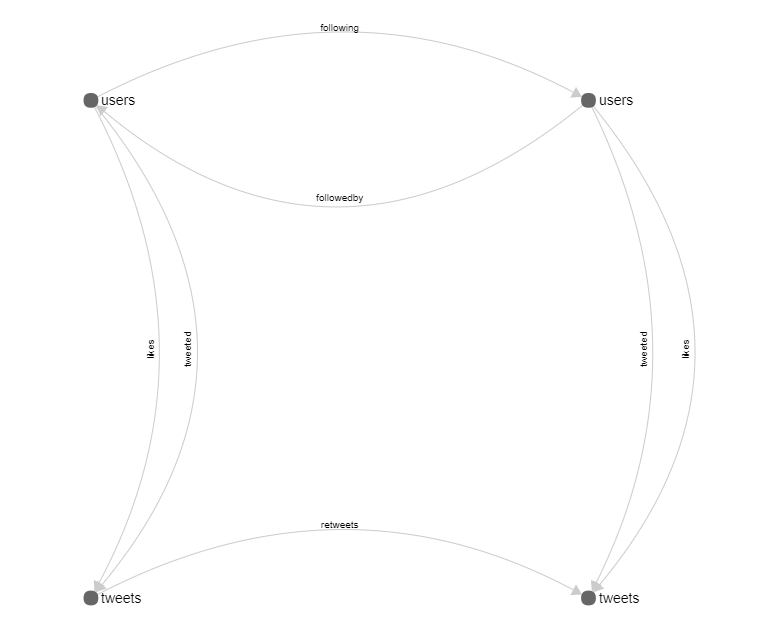 ), others of a string (e.g. a FAQs collection with ids en_1, es_1, fr_1), and others with a MongoDB UUID (e.g 59be8696540bbb198c0065c4). Using the same property name with different data types will throw exceptions. The Gremlin-OGM library will find such conflicts and reject the schema. As a workaround, I recommend combining the label with the word id; for example, a user’s identifier becomes users_id. The library comes with a serializer that allows you to map fields to virtual properties to avoid this conflict. Secondly, property names, edge labels and vertex labels must all be unique within the graph. For example, it might be tempting to have a Vertex labeled tweets referring to the object and then create an Edge labeled tweets referring to the user action, or perhaps create a property tweets in the users Vertex referring to the number of tweets made by a user. The library will similarly find such conflicts and reject the schema. Third, for both performance and schema validity, I’d recommend ensuring each element, or at the very least each Vertex contains a single unique property on which a unique Composite Index (also known as a Key index) will be created. This ensures all elements will be unique and will boost performance because adding an edge between vertexes would first require querying if they exist first. The library allows you to tag a property with the @Id annotation for this purpose. Lastly, indexes. They deserve a whole book… or two. In JanusGraph, basically what you index are properties (it is a property graph after all), but the same property name can be used across different vertexes and edges. Be very careful when doing this. Please remember the first thing to watch out for above. So, for example, an index on the property total_comments will, by default, span across all vertexes and edges. Querying for vertexes where total_comments is greater than say 5 would bring back a mix of users who have total_comments > 5, blog posts with total_comments > 5, and any other vertex that satisfies that query. Things can get messier when, months later, you add a recipes vertex with a total_comments property and now your existing queries might start to return unexpected data. To prevent the potential downfall above, JanusGraph allows you to set a label parameter when creating an index to restrict its scope. I’d recommend this so as to keep the indexes smaller and more performant, but this means you have to give a unique name for each index. The Gremlin-OGM library finds any conflicting index names and will subsequently reject the schema if it finds any. To get started with Gremlin-OGM we’ll first need to create a directory called Graph within our source folder e.g src/Graph. Within this directory, we’ll need to create two different directories: one called Vertices and the other called Edges. These two directories will now hold the PHP classes that define our graph elements. holds Embedded Documents (e.g a comments collection). Twitter is probably one of the best natural fits for a graph database. Objects like users and tweets can form vertexes while actions such as follows, likes, tweeted and retweets can form edges. Note the edge tweeted is named that way so as to avoid a conflict with the vertex tweets. A pictorial representation of this simple schema can be visualized as shown below. The Twitter API is very expressive, such that we can actually save much more data than what the vertex class allows. However, for this sample, we’re just interested in a few properties. The above annotations will tell the serializer to only populate those fields when deserializing the Twitter API data into the vertex class object. A similar class is created for the users vertex. The complete sample code is found in the TwitterGraph folder within the library. * Get User 1 Vertex ID. * Get User 2 Vertex ID. If exceptions are thrown, then we need to fix them first, if not, our schema is set and ready, all we need to do now is tell JanusGraph about it. The class TheDonHimself\GremlinOGM\GraphConnection is responsible for initializing a graph connection. You can do so by creating a new instance and passing some connection options in an array. The vendor array specifies vendor-specific information such as the gremlin compatible database, its version, the name of the service host (or _self for self-hosted) and name of the graph. This enables the library to cater for different environments and settings without the user having to worry about it. A few examples will follow. Finally to actually create the schema, we’ll run this command. This command will ask for an optional configPath parameter, which is the location of a yaml configuration file containing the options array to make the connection. The library comes with three sample configs, janusgraph.yaml, janusgraphcompose.yaml and azure-cosmosdb.yaml in the root folder. The above command will recursively walk through our TwitterGraph/Graph directory and find all @Graph annotations to build a schema definition. Exceptions will be thrown if found; otherwise, it will start a Graph transaction to commit all properties, edges, and vertexes in one go or rollback on failure. The same command will also ask whether you want to perform a dry run. If specified, instead of sending the commands over to a gremlin server, they’ll be dumped in a command.groovy file that you can inspect. For the Twitter example, these 26 lines are the commands that will be sent or dumped depending on your configuration (shown in janusgraph _self hosted). So, now that we have a valid schema setup, all we need is data. The Twitter API has great documentation on how to request such data. The Gremlin-OGM library comes bundled with a twitteroauth package (abraham/twitteroauth) as well as a prepared read-only Twitter app meant for testing the library and to help you get started. After fetching data from the API, persisting vertexes is pretty much straightforward. First, deserialize the JSON into respective Vertex class objects. So, for example, the @TwitterDev Twitter data retrieved via /api/users/show will be deserialized as shown in this var_dump(). all your questions, but we listen to all of them!" The deserialized PHP objects have now begun to take shape in the respective Vertexes and Edges. However, we can only send gremlin commands as strings, so we’ll still have to serialize the objects into command strings. We’ll use a conveniently named class, GraphSerializer to do this. Pass the deserialized object to an instance of GraphSerializer, which will handle complex serialization like stripping new lines, adding slashes, converting PHP DateTime as well as flattening arrays like tags into a format JanusGraph expects. The GraphSerializer also graciously handles Geopoint and Geoshape serialization. "g.addV(label, 'users', 'users_id', 2244994945, 'name', 'TwitterDev', 'screen_name', 'TwitterDev', 'description', 'Developer and Platform Relations @Twitter. We are developer advocates. We can\'t answer all your questions, but we listen to all of them! ', 'followers_count', 429831, 'created_at', 1386995755000, 'verified', true, 'lang', 'en')"
Persisting edges is just a tiny bit less straightforward because it requires the vertexes to exist beforehand. Therefore, the library needs to know the property key-value pair to look them up on. Furthermore, edges have direction and multiplicity within a graph database. Therefore, the vertexes that the edge is to be added to and from is very important. This is the purpose of the @Graph\AddEdgeFromVertex and @Graph\AddEdgeToVertex property annotations within an Edge Class. They both extend a @Graph\AddEdge annotation to indicate the target vertex class as well as the property key and an array of methods needed to get the value. So, two vertex queries then a transaction to create an edge between the two from users to tweets. Note the multiplicity is ONE2MANY since one user can tweet many times, but each tweet can only have exactly one owner. If the edge class had properties like tweeted_on or tweeted_from, the library would serialize them appropriately just as in the case of vertexes. So we’ve handled fetching and persisting data. Data querying is also something the library helps accomplish. The class TheDonHimself\Traversal\TraversalBuilder offers a near perfect match to gremlin’s native API. For example, fetching a user in TwitterGraph can be achieved as follows. A slightly more complex example of fetching a user’s timeline can be achieved as follows. The full list of supported steps can be found in the class \TheDonHimself\Traversal\Step. There is a separate attempt to create a sort of standard to support GraphQL to Gremlin commands. It’s in its very early stages and only supports queries and not mutations. Since it’s written by me as well, the Gremlin-OGM library comes with support for this standard which will hopefully improve with time. Sadly, there are not as many Graph Database GUIs as their counterparts for Relational, Document and Key-Value Databases. There is Gephi, which can be used to visualize JanusGraph data and queries via a streaming plugin. Compose, meanwhile, has a data browser for JanusGraph, which I was able to use to visualize some queries from the TwitterGraph. So there you have it. A powerful and thoughtful yet simple library to help you get started with JanusGraph and PHP in a matter of minutes. If you use the awesome Symfony framework you’re in even better luck. An upcoming bundle, the Gremlin-OGM-Bundle will help you replicate your data from an RDBMS or MongoDB into a Tinkerpop 3+ compatible graph database. Enjoy!